Come and experience the best Gainesville Florida has to offer. 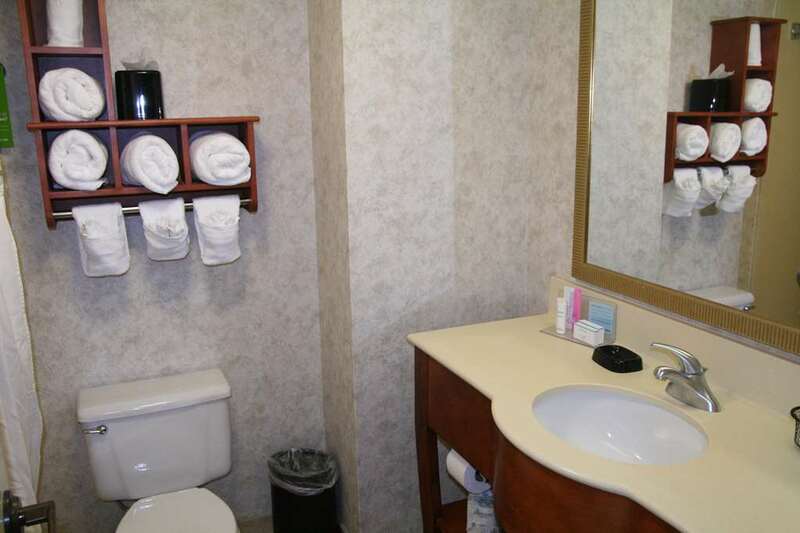 The Hampton Inn Gainesville hotel home of the 100 Happy guarantee and with newly renovated exterior and bathrooms sits nestled among tall pine trees giving you a quiet and secluded feel and yet located right off I75 and Archer Road. You will love to call the Hampton Inn Gainesville hotel your home away from home. Whether you choose to take a swim in our heated sparkling pool relax in your spacious guest room /with coffeemaker hair dryer iron with ironing board data ports as well as complimentary high-speed WiFi/ or get the workout you have been promising yourself in our fitness center we just know you will be pleased you decided to stay with us. Don*t forget about your complimentary buffet breakfast with hot items each morning and freshly baked cookies each evening. Planning a meeting. We have 936 square feet just waiting for you to create that successful event. We love having you here in Florida at the Hampton Inn Gainesville hotel.